After months of dismissing trade tensions between the US and China as a mere dispute, Asia-focused analysts are now braced for a full-blown war. The US Administration’s announcement of tariffs on an additional US$200bn in trade tariffs, coupled with the US enforcing US$34bn of tariffs on Chinese goods, which was reciprocated by China, has led to a swift shift in rhetoric from experts. The sanguinity is now gone and the language is clear: this is war, and it isn’t going away any time soon. Richard Duncan, an independent economist based in Bangkok who has previously worked for the IMF, World Bank and HSBC, says the trade war “could be a turning point in history”. “The US-China trade war has begun. It may play out slowly or it may run out of control much more quickly than anyone currently anticipates. Either way, it is likely to be the most important event impacting the global economy during the years immediately ahead of us,” he says. The latest round of proposed tariffs would place a 10% levy placed on US$200bn of Chinese goods ranging from food, clothing, handbags and household articles (glassware, carpet), to machinery (stoves, air conditioning, engines), chemicals and metals. It is much more extensive than anything to have been announced to date. China, meanwhile, has made clear that it will respond with “equal magnitude”. HSBC’s chief China economist Qu Hongbin says that this could lead to imposing an even higher rate of tariff on US goods should it run out of US imports to target. “American companies operating in China might also be targeted, though Beijing will likely open its markets wider to the rest of the world. Meanwhile, China is likely to speed up the diversification of its trade and investment relations to further reduce reliance on the US. We expect China to deepen trade ties with Europe, Asia and other emerging markets,” he says. Some US companies are already reporting more administrative hurdles to doing business in China, a suggestion that Beijing is looking to more indirect methods of retaliating, says Arjen Van Dijkhuizen, senior economist at ABN Amro. “Given the central role of the state in China, it could also give orders to halt or delay imports of goods and services from the US, particularly in heavily regulated sectors such as pharmaceuticals, agriculture and medicine. China has done so in earlier trade disputes with other countries like Japan and South Korea. Cars have been a target in previous trade disputes as well,” he says. The US has already intervened to stop a number of Chinese tech companies taking over their US counterparts, such as the proposed US$1.2bn sale of MoneyGram to Alibaba’s Ant Financial platform, which was blocked by the US government in January. This is expected to now be reciprocated by Chinese authorities. Beijing is already obstructing the takeover of the Chinese-owned Dutch firm NXP Semiconductors by Qualcomm, a US company. China has many other “qualitative measures” it can use to retaliate, such as divesting from US treasuries as a means of pushing up the cost of borrowing in US dollars and limiting the number of Chinese visitors to the US, which was worth US$115bn in 2017 to the American economy. Given that China is currently moving away from a planned economy to a more free-market model, while the US is going in the opposite direction, China can implement its qualitative measures more quickly than the Trump administration, according to ING’s Greater China economist, Iris Pang, who says that “China is more likely to win the trade war”. “China has already announced that the tariffs collected from US would be given back to Chinese companies affected by the trade war. China can also provide tax relief for affected exporters and provide incentives for exporters to sell their goods, either in the domestic market or through exploring possibilities in non-US foreign markets. All these measures could come into effect more quickly in China than in the US, which has a more complicated administrative process,” she says. Across the board, the shift in tone this week has been marked. No longer keen to downplay the inception of or the risks of a trade war, analysts are united in warning that shots have been fired, and that the risks to the trade economy are significant. 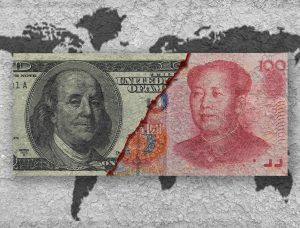 The post Asia analysts are braced for a full-blown trade war appeared first on Global Trade Review (GTR).